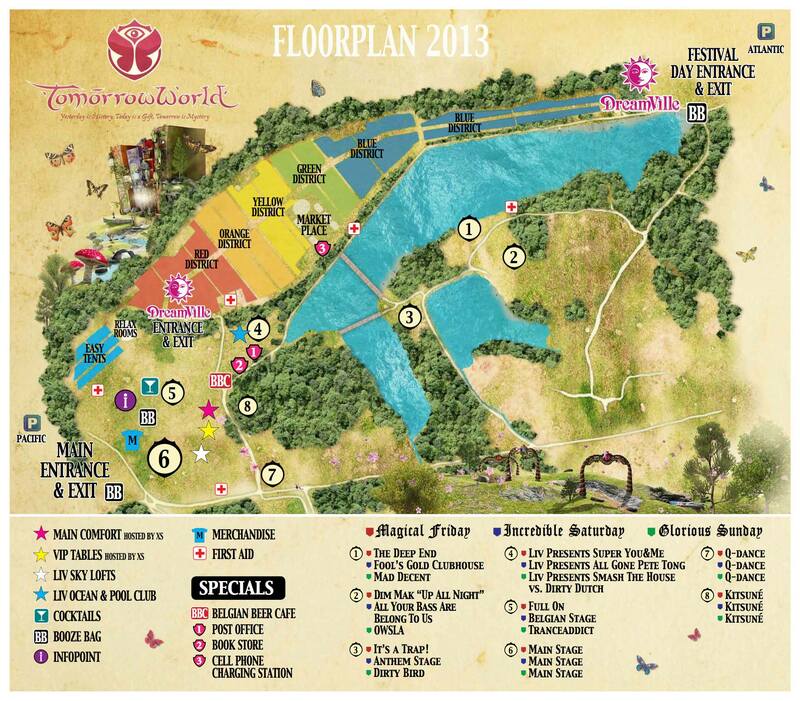 If you needed a more convincing reason to attend TomorrowWorld 2014, other than my 2013 recap, look no further. Today, TW festival organizers released their 2014 first artist announcement and no matter what your personal preference is, most EDM genre’s will have a good representation at this years event. Already brimming with chart-topping headliners like Avicii, Zedd and Martin Garrix, this year’s festival also includes inaugural TomorrowWorld acts such as Bassnectar, Kaskade, and fresh off his album-Recess, Skrillex. For those not impressed with the first artist announcement, fear not! Last year’s full lineup of acts at TomorrowWorld totaled about 230+; this years event has only introduced 47 acts thus far. To put the first artist announcement into perspective, there are about 8 stages for the event which lasts three full days for general admission attendees (approx. 36.5 hours). 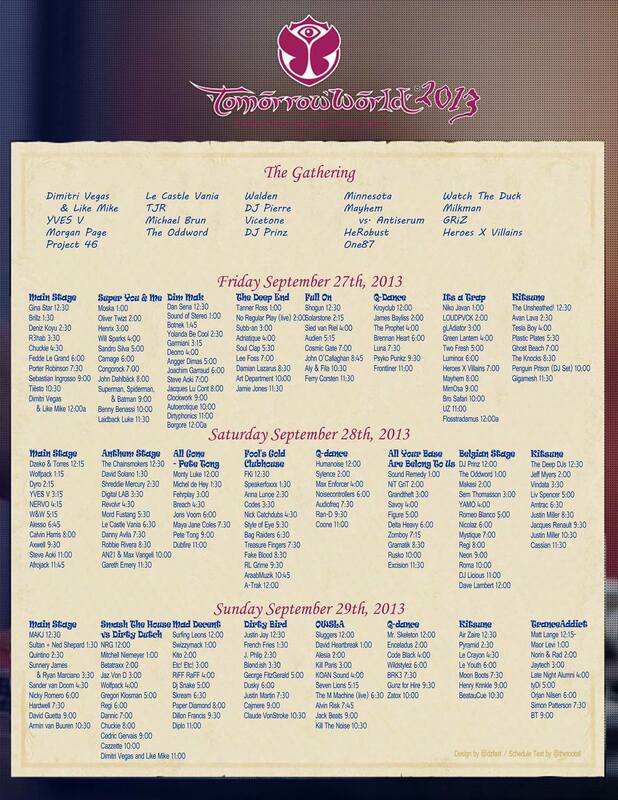 If you stay in Dreamville and include The Gathering party, the festival extends to four full days (approx. 45+ hours). So if your favorite artist was not included in today’s announcement, chances are they will be in the future. 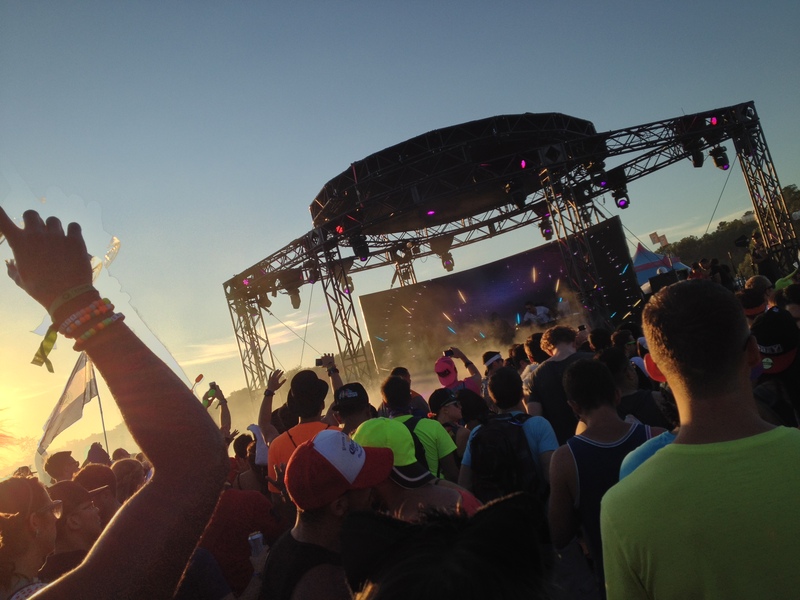 Those festival-goers looking to avoid the main-stage acts can seek refuge at stages hosted by signature party brands like “All Gone Pete Tong”, “Minus” and “Full On”. 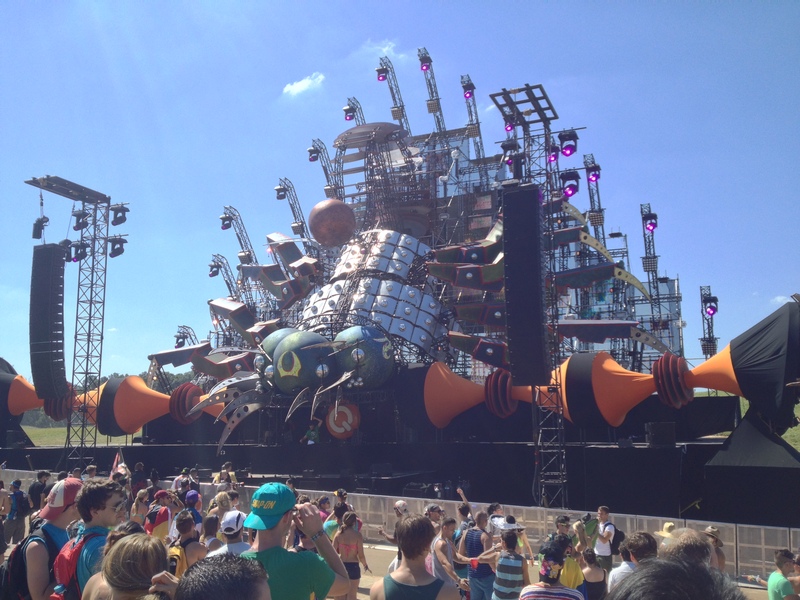 Stages like these provide a perfect change of pace during the electro-dominated performances sure to flood the main stage. 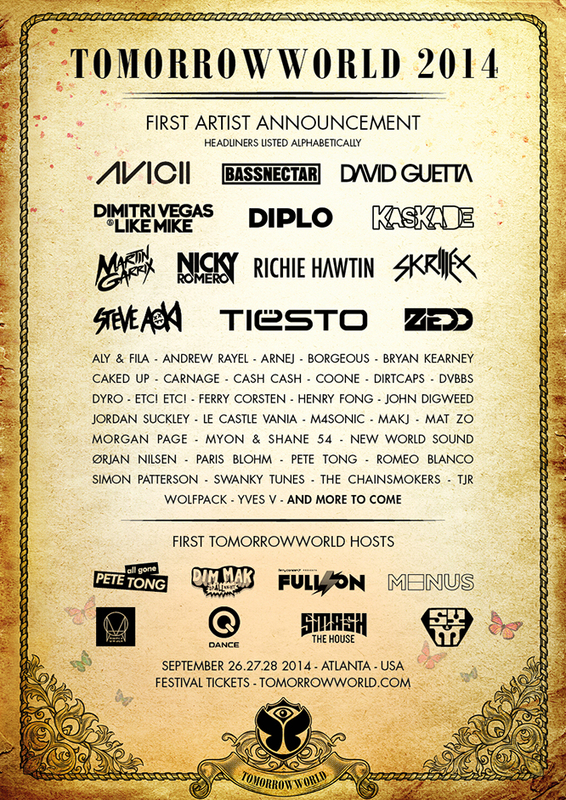 For those still without tickets for Tomorrowworld 2014, don’t blow your savings five months in advance. TomorrowWorld did not raise it’s prices as the 2013 festival date neared and, in my expert opinion, will not this year either. 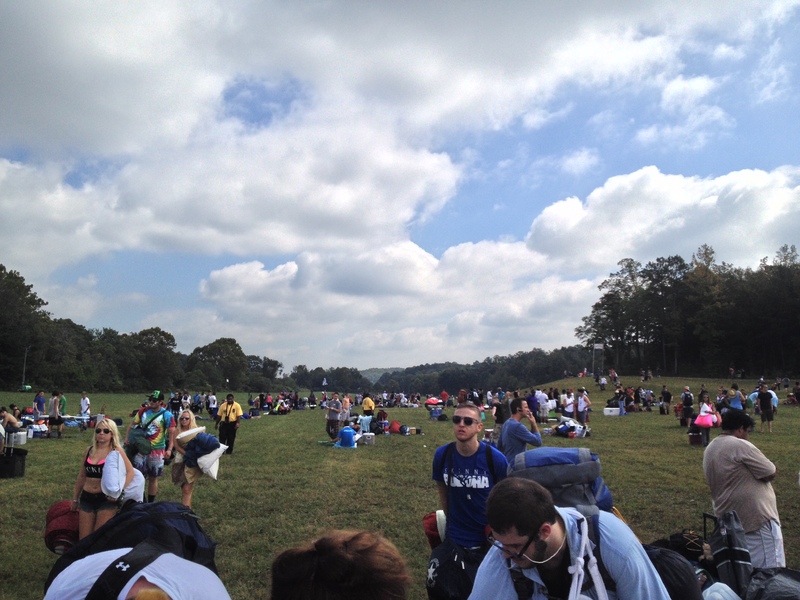 I do remember last year people were buying single-day passes and weekend passes up until the day of the event. However with the increase in exposure and popularity of TomorrowWorld and the EDM scene, as Sept. 26 approaches, the sellout risk obviously increases. Tickets can still be purchased (here) and stay locked into Kengo Allnight as I will continue to post updates as TomorrowWorld 2014 inches closer.